When planning your first trip to Amsterdam - the city of cannabis - it‘s good to know a few things about what to expect and how to get the most out of your coffee shop experience. Be sure to check out our Top 15 Coffeeshops. You‘re about to step into cannabis nirvana. But if you‘ve never been to a coffee shop before, it can be a little overwhelming at first. After all, there are dozens of strains hiding behind a fancy name, space cakes, pre-rolled joints, vaporizers, and by the time you‘ve stepped in, the fumes in the air will have already gotten you mellowed out. That‘s why we came up with 10 tips we feel will help you to get the most out of your coffee shop experience. 1. Take a good look at the menu and ask questions! Amnesia Haze, Diamond Girl, Casey Jones, Apple Jack or White Widow? We know, it‘s a tough choice. But don‘t despair - just ask. Behind each fancy name is a distinct high. Some are more energizing, others more sedating. The „dealer“ behind the bar should be knowledgeable about their selection and give you good advice. The best idea is to describe the effect you‘re looking for. 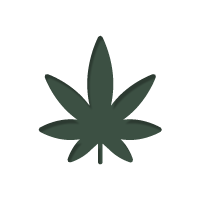 Sativa strains tend to induce a more uplifting, energetic and cerebral high - as opposed to the body load of some indica strains. Should you wish to remain sociable and active, but still chill out and get high - it‘s never a bad idea to just stick with a good sativa strain. Sativa hybrids are particularly good to start out with, they combine the best of sativa and indica strains. Watch out - Dutch weed is notoriously strong. Depending on what you‘re used to smoke, it‘s easily double the strength. That‘s not a bad thing - just ease in. Many of the city center coffee shops are just overpriced. Especially if you‘re in the city for more than just a few hours, take a tram out of the Dam area. Smaller, less known coffee shops carry equally good weed, but without the Dam premium. Unfortunately, many growers still use nasty chemicals to protect their crop. Pesticides, fungicides and chemical fertilisers might be good for the turnover of the grower, but it‘s not good for you. Due to popular demand, many coffee shops have started to carry an organic selection, just ask the guy at the counter. Ideally, organic means that the cannabis was grown on soil, and no chemical pesticides have been applied to it. Pre-rolled joints are ideal if you don‘t want to go through the hassle of rolling a spliff yourself, although some might consider this a sacrilege. Anyway, most of the pre-rolled joints are made with tobacco. If you‘re not into tobacco, opt for the pure joints. Most Dutch enjoy their cannabis with tobacco, but that‘s a custom that hasn‘t caught on everywhere. In the US, many prefer it „pure“. It‘s a big temptation, but first consider how long you‘re going to stay in Amsterdam. If it‘s just a day or two and you can‘t bring the weed back home, it‘s better to just go with a small amount. Dutch weed is strong and will go a long way. You can always get more - but you really don‘t want to throw away a baggy on the way to the airport. Cannabis doesn‘t always need to be smoked. Other than the bongs, there are two cool things you can check out: space cakes and vaporizers. Space Cakes are usually brownies with baked in marijuana. Because much more THC is absorbed through the stomach than through the lungs, space cakes can knock you off your feet. Also, because the food first needs to be digested, it takes a lot longer to get into your system, sometimes up to 45 minutes. Don‘t keep eating more after the first one doesn‘t kick in right away - you might regret it. Some coffee shops offer a vaporizer for rent. A vaporizer heats up the weed to the point where all the THC and other cannabinoids are transferred into vapor without ever burning the weed. It‘s a much cleaner high that leaves you less cloudy in the mind. Cannabis edibles are the most potent way to get high, yet if you are unaware of the edibles etiquette, you can easily find yourself overwhelmed. It is very rare for a cannabis strain to be exclusive to one coffee shop, you will find that most strains, including all-time favorites like White Widow and Amnesia Haze are sold at most coffee shops. This means if you do not like the prices, ambiance or service of one coffee shop, you can try out another. This brings us to our next point. 9. You don't have to buy cannabis to use a coffee shop. You are not required to buy cannabis at every coffee shop you visit. If you have bought some really good bud from one shop, you can still go smoke it in another one. Just make sure you buy a drink or some food at the next shop - it is rude to go in and smoke without buying anything at all. Among all the excitement, don't forget to eat and drink! On an empty stomach, cannabis will feel much stronger than if you were to smoke after a meal. Also, cannabis can lower blood sugar, which in turn can leave you tired without some fresh calories coming in. But since you‘ll be having the munchies anyway, it‘s going to be even more fun to explore all the exquisite Dutch foods. It‘s almost like the Dutch kitchen was made for stoners. Also, have a look at the Amsterdam Coffeeshop guide! In this guide, ALL coffee shops in Amsterdam are listed - and there are more than 200 of them! But it's much more than that; it's the ultimate resource for a perfect stoner holiday!